An installation exploring the intersection of art and mathematics. It is made using a custom software that decomposes every frame in a movie using a fixed database of frames from another movie. Hector Rodriguez (ES), an experimental software artist and media theorist whose work investigates the specific possibilities of information technologies to reconfigure our experience of moving images and our relation to film history. 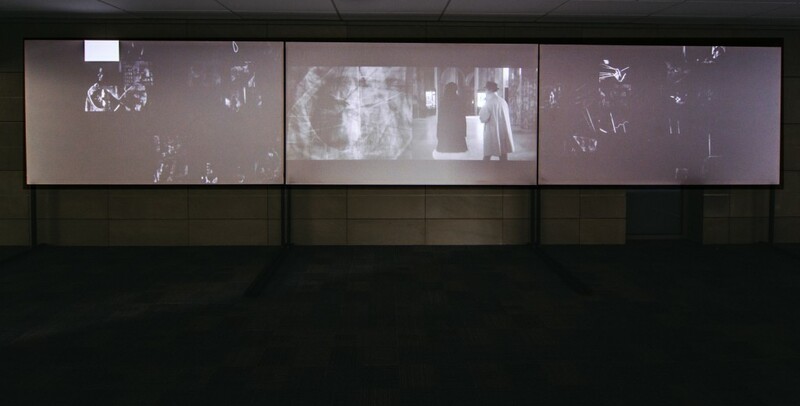 His creative practice integrates video art with mathematics and computer science, exploring the tension between digital abstraction and cinematic representation. He currently teaches at the School of Creative Media, City University of Hong Kong.